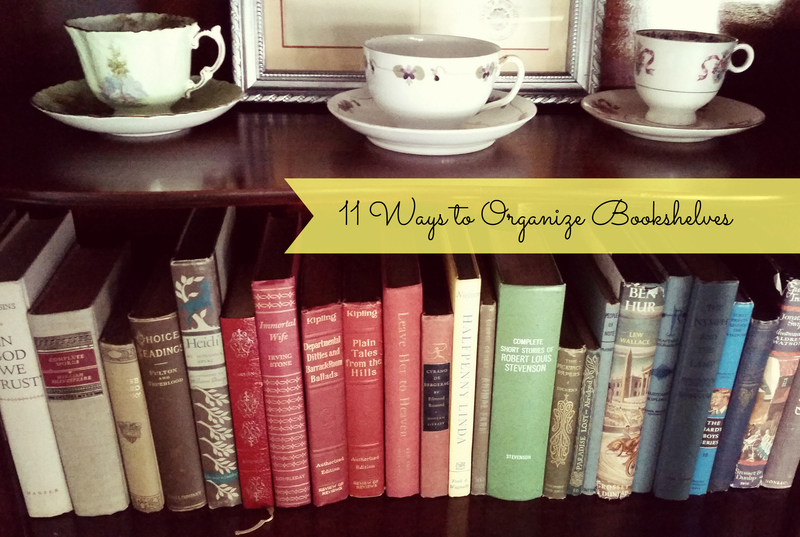 For the slightly neurotic among us, a bookshelf is a blank canvas opportunity to get our organizing kicks. Here are 11 ways to line up your book collection. Some are practical, making it easy to find just the book you’re looking for in a snap. Others are creative, aesthetically pleasing organizations for the artistic book lover! By Title – This is perhaps the most obvious option. Just alphabetize books by their title, regardless of any other affiliations they might have with one another, like author. Remember though, along the way you’re going to have to address the age-old question: to alphabetize by ‘the’ or not to alphabetize by ‘the’? By Genre – This is usually the route I go with my own bookshelves, though I also tend to alphabetize by last name within a genre. Genres might include mystery, romance, fantasy, science fiction, historical, etc. It’s up to you how crazy you get with it and it’s always a surprise to discover what a soft spot you really do have for, say, teen vampire romances. Don’t worry, no one’s judging you. By Dewey – The Dewey Decimal System is a little like sudoku for bookworms. There are the basic ‘classes’, like 200 for Religion and 800 for Literature. But within those, there are precise and specific numbers for practically every type of book you can possibly imagine. For example, The Matisse Stories by A.S. Byatt would most accurately be labeled 823 (English fiction), while Jazz by Henri Matisse could arguably be 702 (Miscellaneous Arts) or 769 (Art Prints). I warn you: it’s an addictive brain-teaser. By Preference – Put your absolute favorites at eye level and stash the books you can’t get rid of but can’t imagine giving a second try on the bottom shelf. By Color – Your shelves will be an indoor rainbow with the books all lined up by shade, from red to violet. By Release Date – This one’s for the history buff. 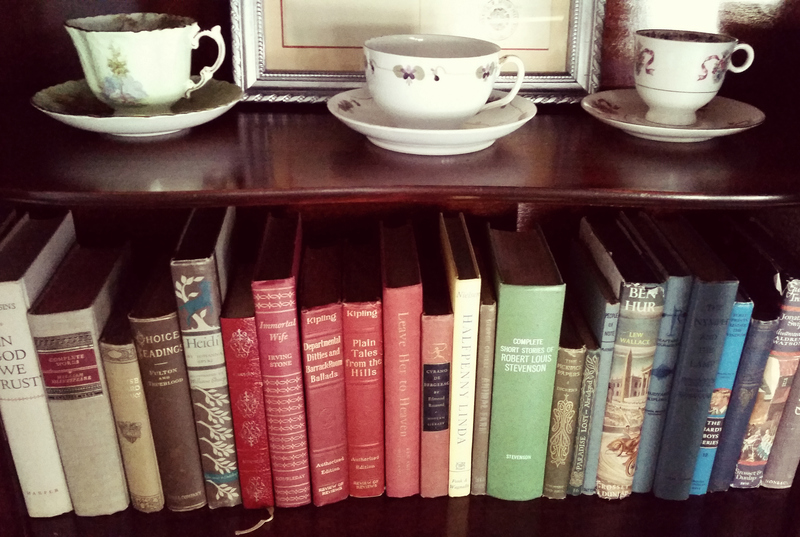 Organize your books by either the year they were printed or the year they were originally published. This would be especially fun if you have a nice selection of books from a broad time period like the ancient Greeks to contemporary. 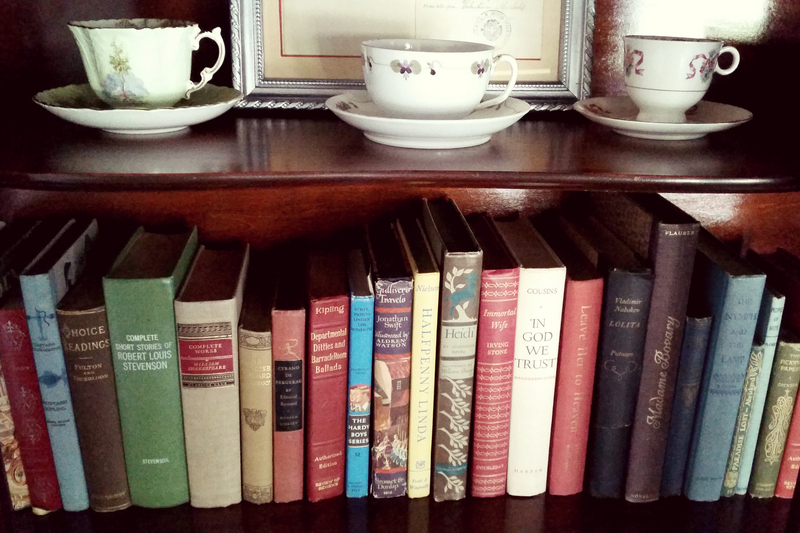 By Setting – For a global perspective, try organizing your books by where they’re set. First group by continent, and then micro-manage from there by country and city. Or go whole hog: have a lot of books set in New York City? Organize by borough! By Height/Width – Show off those super duper 800-page whoppers by contrasting them with the 1/8-inch thick children’s books you can’t bear to part with, or create an aesthetically interesting diagonal and stack them up by height. By Time Period – Not so very different from release date, but this time instead of lining them up by their real-world years, organize by the in-universe time period. Gone with the Wind and The Last Silk Dress will look just dandy next to one another and I’m certain Nancy Drew and Lucy Pevensie will get on famously. By Science – Take a somewhat snarky cue from Ms. Hudson of Elementary and organize from hard to soft sciences. This is pretty easy with the non-fiction: just keep the Einsteins and the Theresa Caputos on opposite ends of the shelf. But what to do about H.G. Wells or Phillipa Gregory? That’s up to you. So, what’s your favorite way to line ’em up on the shelf?